Alongside photographs from 1 Granary magazine’s current issue – featuring pieces from the archives of Meadham Kirchhoff shot by Drew Jarrett and styled by Anders Sølvsten Thomsen – Julie Zerbo recounts what made the late label one of London’s most definitive talents. Meadham Kirchhoff, the London-based fashion brand known for romanticising fashion with its darling and daring garments, is no more. “Meadham Kirchhoff is dead,” Edward Meadham, one of its co-founders, confirmed last month. The news, while sad, is not exactly shocking. You may recall that following the brand’s SS13 show, Meadham hinted at a denouement, saying: “I have been praying every single five minutes for the last six months that this was going to be the last collection.” There has also been talk of various volumes for some time that the brand – known for its alternative, no holds barred, and theatrical approach to fashion – was in financial trouble. Rumour had it that design duo Edward Meadham and Ben Kirchhoff were reassessing their options, sorting some things out. Many of us surely hoped for the sake of fashion as art that they would make it work – as did the designers. Unfortunately, they simply could not. Big losses occur routinely in fashion, just as in every other major industry. Usually they come by way of deaths of designers or creative directors. However, that is not the only type of loss we experience. Every once in a while a truly magnificent brand shutters its business for any number of reasons, and we are left with nothing but photographs, archives and memories of fashion shows past. Unfortunately, we cannot rely too heavily on archival pieces in this case; they are sparing for Meadham Kirchhoff. In the midst of the brand’s breakdown, the designers’ studio landlord took possession all of their archival works. All 12 years of them. But we are getting ahead of ourselves. Let’s take a look back to gain some perspective as to why this loss is such a meaningful one in the first place. Meadham Kirchhoff was launched in 2006, the black sheep brainchild of two Central Saint Martins graduates. Edward Meadham focused his studies on womenswear and Ben Kirchhoff on men’s. From the start, the duo achieved a slew of industry accolades. They showed their first collection of menswear in the first Fashion East showcase in 2005. The following year, they debuted a womenswear range, securing sponsorship through the British Fashion Council and Topshop’s NEWGEN program. They received the Emerging Talent Ready-to-Wear Award at the British Fashion Awards in 2010 and a nomination for the British Fashion Council’s 2012 inaugural “New Establishment” award. That same year, they nabbed a spot on the shortlist of brands included in the British Fashion Council/Vogue Designer Fashion Fund. Don’t forget the massively successful Topshop collaborations or the Victoria and Albert Museum’s presentation of highlights of the label’s collections as part of its Fashion in Motion series; or their inclusion on the list of LVMH Prize semi-finalists in 2014. Now consider the aforementioned industry nods in conjunction with the fashion press’s often glowing reviews of Meadham and Kirchhoff for their technical capabilities and their unwavering dedication to creativity in its purest form. The designers were nothing if not detail-obsessed, committed to their aesthetic of unabashed excess, and longing to provide show-goers with a thought-provoking collection of garments in rejection of the industry’s model. This did not go unnoticed. Fashion insiders have steadily praised the duo for their amalgams of distinct materials and textiles and their ability to step outside of their comfort zones and shock. They developed frayed jeans and deconstructed denim jackets seasons before the current trend. They were showing detailed lace on par and on time with the wonders that Alexander McQueen was showing on its runway. Some have even likened the brand’s jackets – particularly from years ago – as foreshadowing those that made Christophe Decarnin a star at Balmain. Critics also praised the duo for their design abilities and attention to detail. The construction and finishings of their garments were impeccable, and spoke to the pair’s dedication to their craft. With the support of the industry firmly behind them from early on, Meadham and Kirchhoff were determined to break the rules. They pioneered innovation both in terms of their designs (think patchwork dresses in velvet and leather, for example, or stacked, glittering platform shoes) and the way they showed them (a runway decorated with “blood”-dipped tampons is not something you see every day). And they did not cut corners in further of their mission; their handiwork – whether it be the “rotting lace” of SS09 or the tonnes of hand embroidery they showed nearly every season – fully supported their aspirations. They had the talent to back up their outlandish imaginations and their disobedient spirits. They set out to challenge the state of the fashion industry, rallying against a culture that was becoming “more apologetic, more bland and more conservative”. 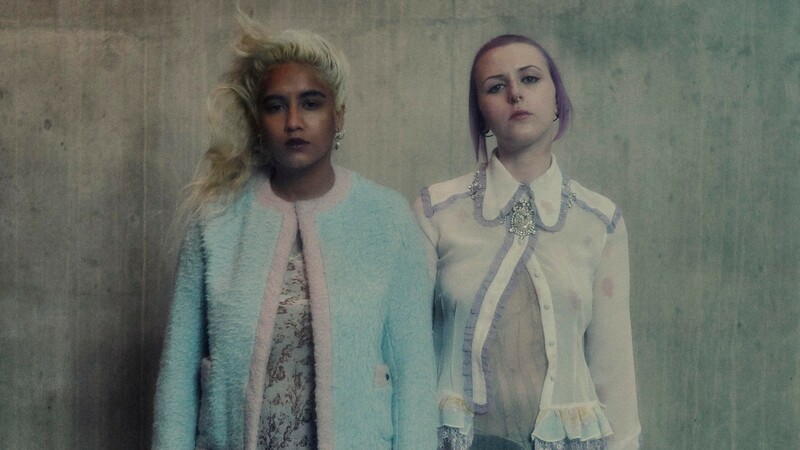 “The industry has become dictatorial,” Edward Meadham said in 2013. “All we ask is that we can show our clothes exactly how we want to, exactly how it comes out of us. What people make of it after that is up to them.” This sense of rebelliousness and youthful spirit is exactly what enabled them to win over fans within the industry and beyond. They reached young designers and established insiders alike with their alternative approach to designing and showing fashion. They were obviously having fun (just have a look at their runway shows, like the riotous protest of SS15), something which was enlightening amidst the increasing commercialisation of the London fashion scene. The creative, sensational and, at times, weird designs coming out London were becoming increasingly sophisticated and tame as the fashion capital matured; as big conglomerates like LVMH and Kering began buying into some of its most promising young brands; and as others were likely being romanced by Phoebe Philo’s take on sleek and minimalist silhouettes, which has permeated nearly every corner of the industry. Over the years, many critics consistently underlined their glowing reviews of Meadham Kirchhoff collections with a common theme: wearability, because no matter how thoughtful, ornate or striking the garments, the designers needed to sell clothes. It seems like a bit of stretch to assume that their dazzling spectacles – complete with sparkly chiffon babydoll dresses, multicoloured monster-fur jackets, tiaras and lace veils – coincided with the creation of commercially viable garments. But in fact, Meadham and Kirchhoff actually produced an array of sellable pieces, whether it be charming silk pencil skirts, a pair of embroidered denim trousers, or any number of gold-infused accessories. Each season, critics championed this notion because at the end of the day, fashion is a business and even the most stunning creative types – the ones who consistently add something special to the landscape of fashion – need to pay their bills. This was an especially pressing issue due to the fact that Meadham and Kirchhoff like to push the envelope. It was a welcome surprise at times to see plainly wearable garments come down their runway. So, when it happened, people noticed. Critics drew special attention to it in their reviews. Herein lies a problem. In a market that currently demands that runway looks be almost instantaneously ready to be pre-sold online, outlandishly creative and innovative brands that do not have the licensing systems in place to provide them with additional sources of revenue, as big houses do, probably do not stand a chance – even with industry support early on. Unfortunately for Meadham Kirchhoff, the fashion industry and fashion fans, the current model of fashion does not leave much room for imagination that cannot be put into an e-cart, purchased and shipped. With this in mind, Meadham Kirchhoff took a huge risk. They played by their own rules. They made waves. They were true to their vision. They gave a lot to the fashion industry and to the fans in its periphery. They may not have made ends meet in a financial sense, but that does not mean they failed. One thing remains: Edward Meadham and Benjamin Kirchhoff made their mark in a difficult industry. They cultivated a following of truly devoted fans, a legion that speaks to the significant impact the design duo made with their rebellious spirits and their technically impressive garments. Consider, for instance, the large number of people who were nothing short of outraged when a public relations agency attempted to sell some of the pair's lost archive last month. It is this type of connection between designer and consumer that transcends the big business of the fashion industry. This type of admiration and understanding withstands seasonal trends and the ever-changing nature of fashion’s “It-designers”, and this is exactly why Meadham Kirchhoff is so important, why this is a truly momentous loss and why they will simultaneously be dearly missed. But it is also why they will live on in fashion. So, do not fret fashion fans, the legacy of Meadham Kirchhoff will continue. It is simply too special not to. Lead image: All clothes and accessories Meadham Kirchhoff. Hair Jose Quijano at D+V Management; make-up Jenny Coombs at Streeters; models Edie Campbell at DNA Models, NY, London; Georgia Howorth at DNA Models, NY, Sadie Pinn, Bianca Batson, Clarry Fractal, Anna Ryon, street casting Billie Turnbull at AAMO Casting; fashion assistants Valentina Lopez and Bradley Palmer; hair assistant Kumiko Tsumagari; make-up assistance Marie Bruce; production assistants Molly Bridgwood and Daniela Kocianova. Without the support of Meadham Kirchhoff’s loyal fans, this shoot would not have existed. We cannot thank them enough for sharing their much treasured and carefully collected pieces to honour the designer duo’s legacy. Special acknowledgments to Alexander Fury, Bianca Batson, Celestine Eleven, Eugenia Shishkina, Francesca Burns, Harry Evans, Hermes Cevera, Jack James Wrightson-Diggle, Julia van IJken, Kate Clark, Leo Carlton, Lou’Ana Carron, Lulu Kennedy, Masha Mel, Masha Mombelli, Philip Ellis, Princess Julia, Saskia Dixie, Sharna Osborne, Tiia Siren and Victoria Higgs. Buy 1 Granary magazine here or pick up your copy from the newsstands now.